Bill O’Reilly called in to Fox News Monday morning to give his preliminary reactions to his live interview with President Obama last night. “I got my questions in. 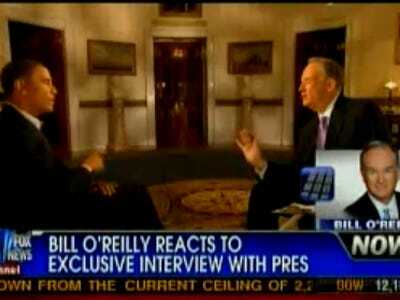 I was suitably confrontational,” O’Reilly said about his own performance. He added that he didn’t read too many of the blogs “because a lot of those people are mentally ill who write them” but from what he had sampled of the blogosphere following his interview, reactions were on par with what he predicted. An additional 10 minutes of the interview will be aired tonight on O’Reilly’s show. Video of O’Reilly’s call-in to Fox News is below.